Minouk Lim, artist-in-residence at the Hyde Park Art Center, will present a new work FireCliff 4_Chicago at the University of Chicago’s Logan Center for the Arts. 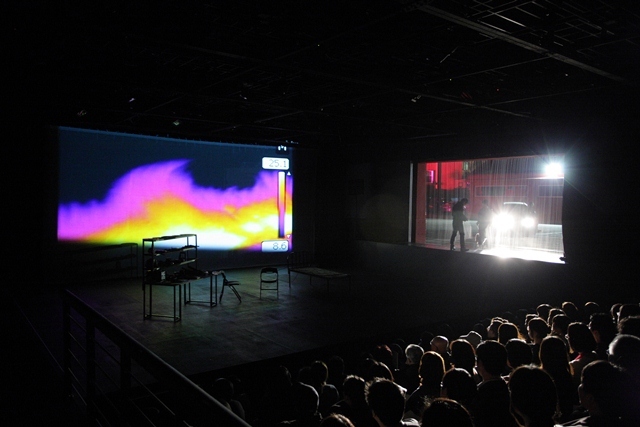 This one-night only performance is the culmination of Seoul-based Lim’s one-month residency at the Art Center and the latest in the FireCliff series, which the artist has presented in Madrid (2010), Seoul (2011), and Minneapolis (2012). For this special performance Lim collaborates with Chicago jazz and blues musician Chris Foreman exploring the possibilities for perception beyond visual observation. This immersive performance, which remixes political speech, sound, and image, attempts to articulate what cannot be seen, to make sayable the invisible. In a climate characterized by uncertainty—economic, social, or psychic—how do we forge a path? What does it mean to envision the future in the absence of images? 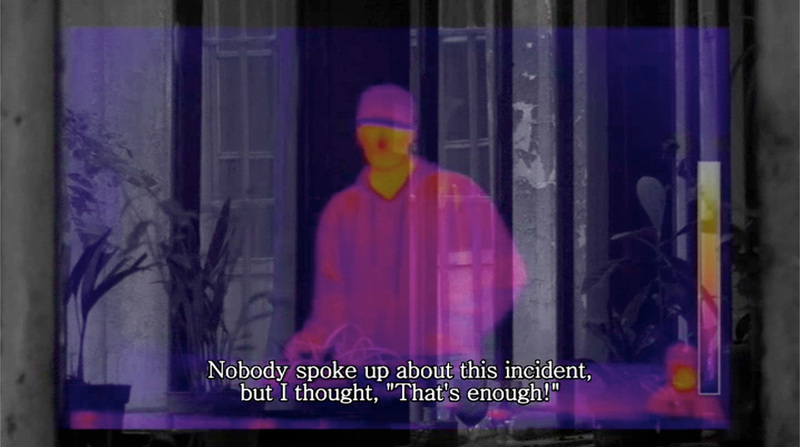 Minouk Lim recently had a solo exhibition at the Walker Art Center in 2012, Minouk Lim: Heat of Shadows. She has participated in solo and group exhibitions internationally, including at Los Angeles County Museum of Art; Museum of Fine Arts, Houston; Witte de With, Rotterdam; and ArtSonje Center, Seoul. Her work has also been included in several international biennials, including the 2010 Liverpool Biennial; 2012 Paris Triennale and 7th Gwangju Biennale, both curated by Okwui Enwezor; and the 10th International Istanbul Biennale curated by Hou Hanru. Chris Foreman, who has been blind since birth, is a fixture in the Chicago jazz scene and regarded as one of the greatest living B3 organ players. *Please be prompt. It will not be possible to enter after the performance has begun. The parking lot at 60th and Drexel is free to the general public after 4pm.